Enjoy the museum on any budget. 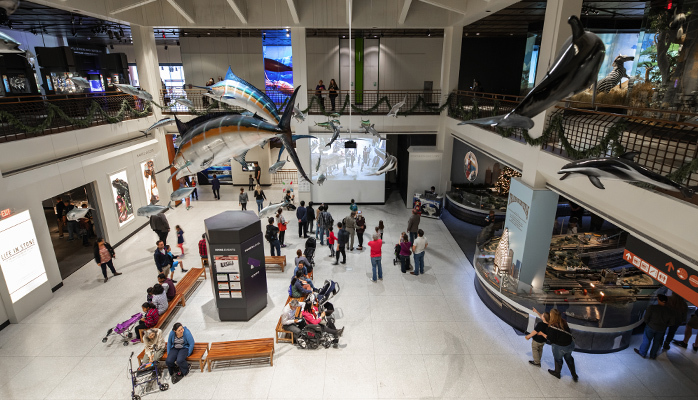 On Thursdays from 2pm – closing*, HMNS offers free museum hours in our permanent exhibit halls. Ticket sales for special exhibitions, the Cockrell Butterfly Center, Wortham Giant Screen Theatre and Burke Baker Planetarium are also offered at a discounted price! The best way to explore the museum for free any time is with a museum membership! Members always get into our permanent exhibit halls for free and have access to discounted pricing on the other venues, lectures, programs, summer camp and more. Become a member today! *hours subject to change seasonally. See Holiday Hours for more information.